Hear keynotes from Hulu & Cheddar at Streaming Media East in May. Save $100 with code SMCOM right now! Read all about it - You can't afford to be without this twice-weekly newsletter - sign up today to get your breaking streaming and digital media news! 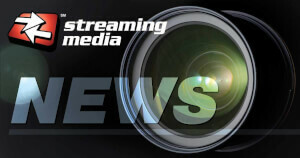 Occasional announcements sent by Streaming Media, or on behalf of our advertising partners, on what we feel are important offers, developments, publications, and events in the streaming/online video industry. Social video platform Snapchat is still paying for its unpopular redesign, say the researchers at eMarketer. Even though the confusing redesign—which mixed Stories and chats together—was widely available early in 2018 and was scaled back a few months later, Snapchat is still suffering with declining use. eMarketer forecasts the platform will lose users in the U.S. for the first time this year, dropping by 2.8% to 77.5 million monthly users. Snapchat's long-term prospects don't look much better. While the platform will stabilize in 2020 with a minor 0.4% growth, eMarketer sees its user base as flat for the next few years. In fact, it will only add 600,000 users in the U.S. by 2023. Snapchat is digging in with new features, such as in-app gaming. While it's too early to tell, that could improve the platform's numbers if popular. As users leave Snapchat, Instagram has been the big winner. Its users base will rise by 6.2% this year, and it will add 19 million users in the U.S. by 2023. Despite positive growth, both areas see low monthly active adoption. Most AR use is on Snapchat, while 360-videos and photos make up most VR. Just days after its surprisingly good quarterly earnings report, Snap says it's getting in the Olympic spirit and making NBC its first live TV partner. Can a leaner and lighter Snap turn things around? After 100 sales team members are let go, Snapchat looks to the future.